Making enough space in your home can feel like a never-ending battle. 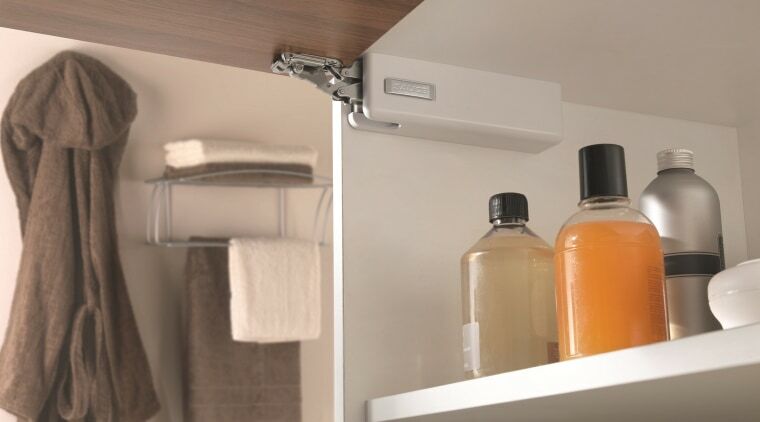 The best way to combat a lack of space is by utilising the most efficient storage options available. 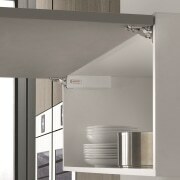 FIT offers yet another brilliant storage solution in the form of Salice's Wind. 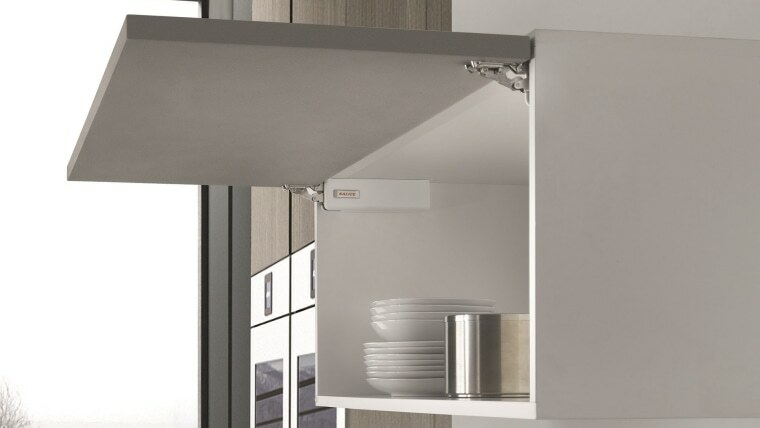 A sophisticated and unobtrusive overhead lift system for flap doors, its compact design allows for storage space to be increased. Plus it has the added appeal of a controlled, decelerated soft close action, avoiding noisy bangs and crashes. 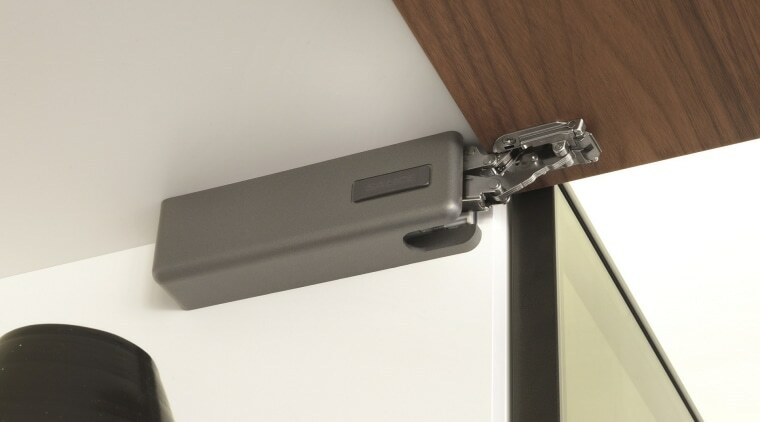 It can be used in any room – your kitchen, bathroom, living room or even home office. Any room with a flap door can enjoy the freedom of increased space. 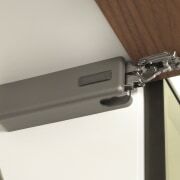 Paired kits are available depending on the weight of your door. Medium lifts can hold a weight of approximately 14.5 kg, whilst the heavier lifts can bear a load of up to approximately 18.4 kg. Doors heavier than this will require more than 2 lifts, wider doors can be supplemented by a third single lift to prevent your door bowing. Available in Classic White and Satin Metal Black, the sleek lifts can fit any look, too. See more about the Salice Wind Overhead Door.